Navy athletic shorts with pockets. 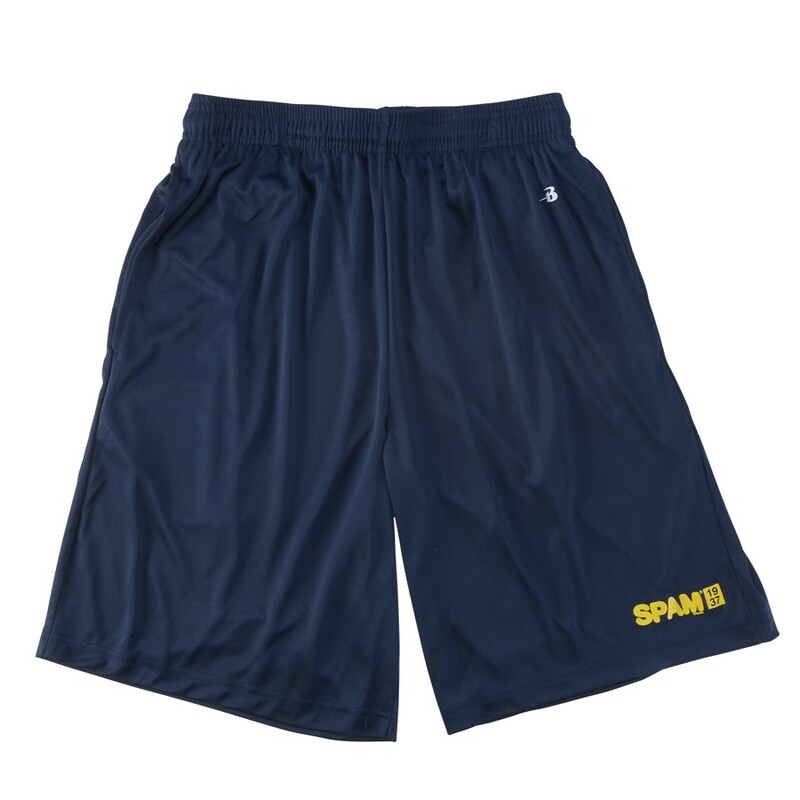 "SPAM® Brand1937" logo on lower left leg. Available in adult sizes S-XXL ($28) and youth sizes S-L ($25).